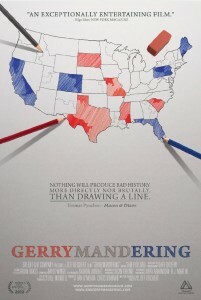 During the next several weeks, hundreds of thousands of California voters will receive a free copy of my critically acclaimed documentary, “Gerrymandering.” I made this film because I am frustrated with the political environment we see not only in California but in Washington, D.C. Looking at the entrenched partisanship and gridlock in our political system, it’s easy to become cynical. Year after year, it seems nothing changes. That’s because your votes don’t really count. The reason is simple: gerrymandering. Thanks to a bipartisan deal made in 2001 in Sacramento, in the last decade only one California congressional seat changed parties. In four statewide elections, only one changed. Gerrymandering has effectively disenfranchised the majority of voters – and they don’t even know it. Districts are noncompetitive, so the winners are determined in primary elections, where the turnout is always low (typically about a third of registered voters) and the electorate is dominated by the most extreme and partisan voters. Legislators can only be defeated in the primary and so must become rigidly ideological, since any compromise can (and has) cost members their careers. That has led to legislatures incapable of solving problems. One big consequence of such a dysfunctional legislature has been initiative inflation. The people have stepped in and taken over, and now the state must live under a series of voter-enacted mandates on required spending and budget priorities. Whomever we elect as governor in November will be trapped by this system. No one can run the eighth largest economy in the world when most of the budget is predetermined by the voters, funding levels are mandated for certain areas but not others, and there is inadequate flexibility to deal with the dramatic changes in revenue caused by economic ups and downs. In 2008, voters narrowly passed a measure that created an independent commission to draw lines for the state Legislature in 2011. It succeeded because most Democratic politicians stayed out of the fight and the opposition was not well financed. And now this November, California voters have the opportunity to enact an initiative, Proposition 20, that would take the power to draw congressional district lines away from the state Legislature and give it to the same commission. Proposition 20 will again give us competitive districts in those parts of the state where there are significant numbers of both Democrats and Republicans. But Proposition 20 is drawing heavy fire. More than a dozen California House members and state legislators, buoyed by six-figure contributions from George Soros and union groups, have put money into a “poison pill” initiative, Proposition 27. It would reverse the judgment of the voters and again allow the Legislature to draw its own district lines. Reformers must both defeat one initiative to preserve past gains and pass a second one to finally reform Congress. There have been many efforts to enact redistricting reform by initiative, and except for the aforementioned 2008 measure, they all failed. In addition to facing the large financial resources deployed by entrenched incumbents, advocates for reform have struggled because this issue is one that voters have historically found difficult to understand. Even under normal circumstances, more audacious tactics are required. And in 2010, with the unprecedented amount of political clutter filling the airwaves this election cycle, a movie may just be the breakthrough needed to give the current redistricting reform initiative the voice it needs to be heard. I don’t subscribe to the “great man” theory of history. I believe it will take more than a single man or woman, a single governor, senator or representative, to change the way things work in Washington and Sacramento. It takes ordinary people holding their government accountable – using their vote as the power to hire and fire their representatives, as the Founding Fathers had envisioned. I know you’ve heard this before, but it bears repeating because its true: Government will not reform itself. People have to rise up, meet the challenge head on, and reform their government. This year, this election, is the time to do that. 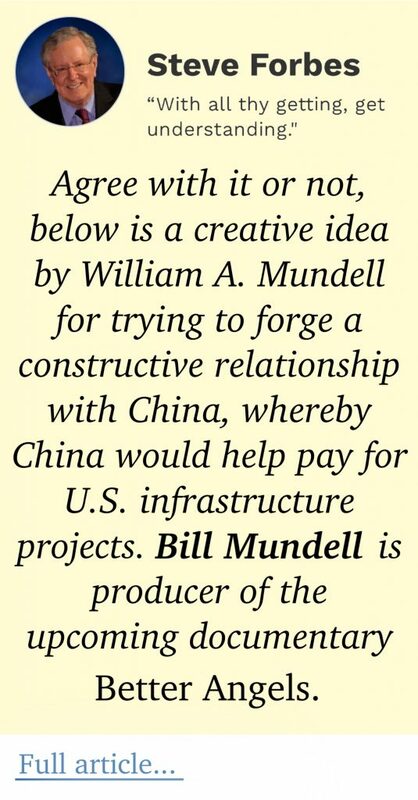 Bill Mundell is the executive producer of “Gerrymandering” and the former chairman of Californians for Fair Redistricting.